The GASTON LACHAISE: SCULPTURE & DRAWINGS Exhibition will be returning from a highly successful tour of museums in Europe from 2003 - 2006. It is currently scheduled for presentation at the New Orleans Museum of Art and the Nasher Sculpture Center in Dallas in the Fall of 2007. Dates are available beginning in March of 2008. 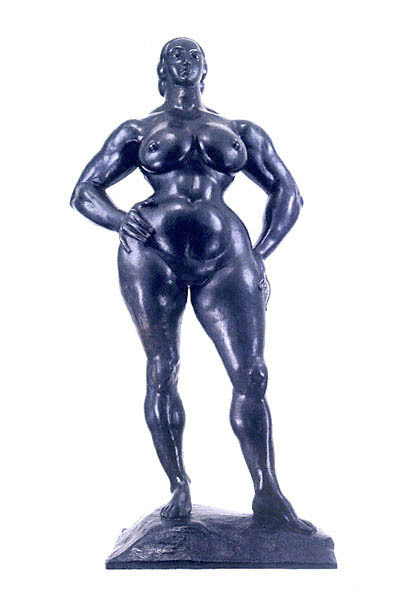 The exhibition features a total of 75 sculptures, including 7 monumental works by Lachaise never before exhibited together in the US, and 20 drawings. A special catalogue is planned for the exhibition. 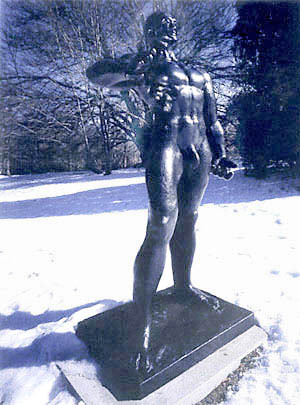 Lachaise, born in France, is best known for his interpretations in bronze of the female form, and is considered to be one of the most significant sculptors to have worked in the US during the early part of the 20th Century. His sculptures are included in the collections of MOMA, New York; The Metropolitan Museum of Art, NY; The San Francisco Museum of Art, UCLA; the Chicago Art Institute; The Hirshhorn Museum, Wash., DC; and numerous others. Mitzi Landau, Executive Director of Landau Traveling Exhibitions has worked with the Lachaise Foundation since 1967. 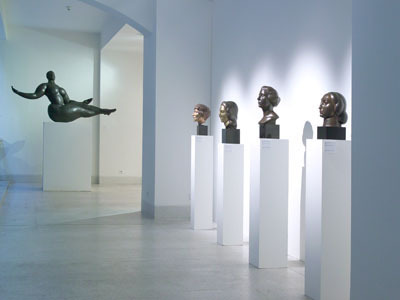 Landau Traveling Exhibitions is responsible for circulating a traveling exhibtion of the works of Lachaise to more than 130 museums over the past 30 years. 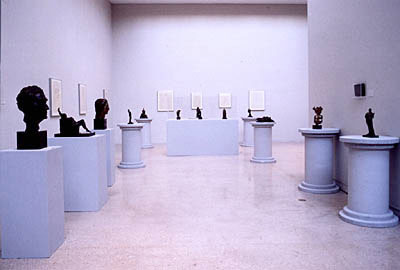 The exhibition was organized by The Lachaise Foundation, Boston, MA. 1882 Born in Paris, March 19. 1895 Enters Ecole Bernard Palissy to study sculpture. 1898 Enters the Acadernie Nationale des Beaux-Arts to study in the Atelier Gabriel Jules Thomas. 1899-1903 Exhibits in the annual Salon. Military Service. Meets Isabel Dutaud Nagle. 1904-1905 Leaves the Beaux-Arts. Begins work for Rene Lalique. 1906-1912 In Boston, working for Henry Hudson Kitson. 1912-1913 Leaves Kitson, works independently. Meets Paul Manship and becomes his assistant. 1917 Marries Isabel Nagle, June 25, New York City. 1918 One-man show at Stephan Bourgeois Galleries. Elevation shown. 1922 Joins Kraushaar Gallery. Resigns as Director, Society of Independent Artists. 1924 Alben Gallatin book on Gaston Lacliaise. 1928 One-man show at the Brummer Gallery. National Coast Guard Memorial, Washington. 1931 Reliefs executed for R.C.A. Building, Rockefeller Center. 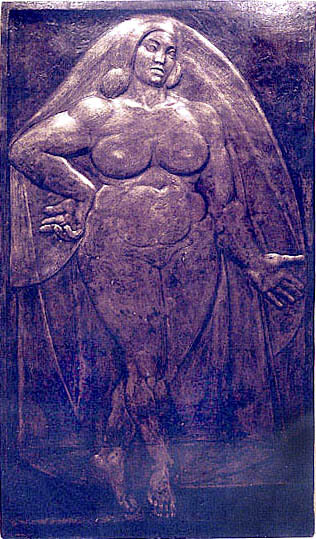 1932 Large plaster relief for Century of Progress Exposition, Chicago World’s Falr. One-man show, Philadelphia Art Alliance. 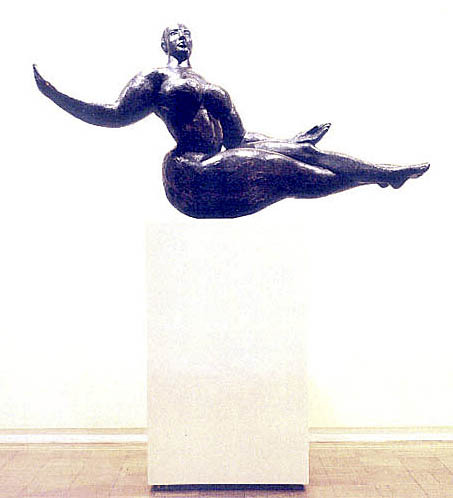 1933 Heroic Woman, 1930-33, cast in bronze. 1934 Reliefs for International Building, Rockefeller Center; New York. La Montagne executed in cement. 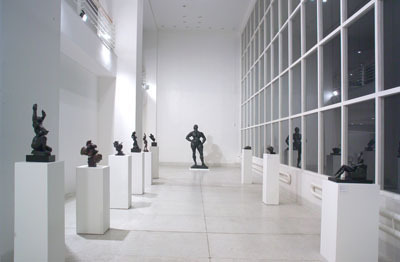 1935 Gaston Lachaise Retrospective Exhibition, Museum of Modern Art, New York, January-March. Publication of catalog with essay by Lincoln Kirstein. 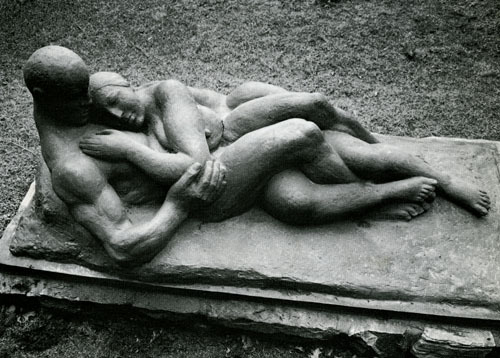 1935 Death of Lachaise, New York City, October 17. 1937 One-man show at Whitney Museum. 1938 One-man show at Brooklyn Museum, February-April. 1947 One-man show, M. Knoedler & Company. Catalog. 1955-1956 One-man show, Weyhe Gallery, New York, December-January. 1957 One-man show, Margaret Brown Gallery, Boston, January-February. Dynamo Mother first exhibited. 1963-1964 One-man show, Los Angeles County Museum of Art, Los Angeles, California, December-January; Whitney Museum of American Art, New York, February-April. 1967 Opening of National Touring Exhibition at San Francisco Museum of Art. 1969 One-man show, Robert Schoelkopf Gallery, New York, March-April. One-man show, Felix Landau Gallery, Los Angeles, California, July-September. 1974 Book, Gaston Lachasie: The Man & His Work, by Gerald Nordland. 1974-1975 Retrospective exhibition: Herbert F Johnson Museum, Cornell University, Ithaca, N.Y, November-December; The Frederick S. Wight Art Galleries, University of California, Los Angeles, California, January-February; Museum of Contemporary Art, Chicago, Illinois, March-April; Walker Art Center, Minneapolis, Minnesota, June-July. 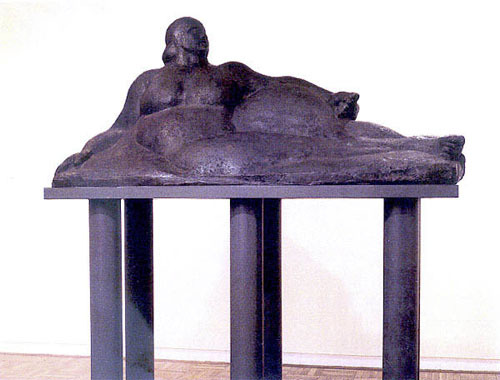 1985-1986 Exhibition, Portrait Sculpture by Gaston Lachaise at National Portrait Gallery, Smithsonian Institute, Washington, D.C., November-February. 1967-2003 National Touring Exhibition continues to travel throughout the U.S. and Canada to more than 130 museums.